Professional cleaners of carpets in Tarporley. Upholstery cleaning also carried out to a high standard. Call John on: 07764 254 898. If you need a skilled and a guaranteed service for your carpet and upholstery cleaning in Tarporley, then we are the company for you! Locally based, we have a long standing reputation and many regular clients in the area, many of who come from word of mouth and have had both carpet and upholstery work carried out. 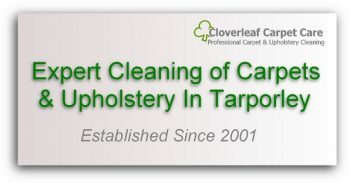 Cloverleaf Carpet Care have been established more than 17 years. 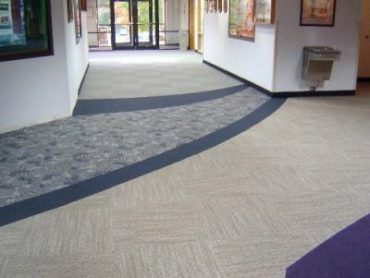 We are skilled and accomplished carpet cleaners that use the latest tried and tested techniques in the process to ensure you get professionally cleaned carpets for your home or business. Area coverage around Tarporley includes: Alpraham, Beeston, Bunbury, Calvely, Clotton, Cotebrook, Duddon, Eaton, Huxley, Kelsall, Spurstow, Tattenhall, Tilstone Fearnall, Tarvin, Tiverton, Utkinton, Willington and surrounding areas. Carpets looking disappointing and dull through years of traffic? Why not have them revitalised with deep down cleaning to restore the colour and freshness, just how they should feel and look! Our state of the art equipment cleaning system ensures you get the best possible results. We use high performance hot water extraction and vacuum technology which removes soil from deep within the pile and it’s safe for pets and children. Call today for a FREE, no obligation quote for carpet cleaning in Tarporley. 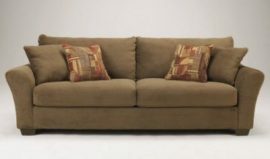 We also provide the professional cleaning of upholstery in Tarporley to both fabric upholstery and leather furniture. If you are deciding about having your carpets cleaned, why not consider having your suite, sofa or fabric furniture freshly cleaned. We provide friendly free no obligation quotes for your consideration. Read more about commercial cleaning in Tarporley in the link below. Churchills Dry Cleaners in Tarporley have also been happy to recommend us to their clients for many years. Are your cleaning prices the cheapest in Tarporley?